NEW ORLEANS, La. 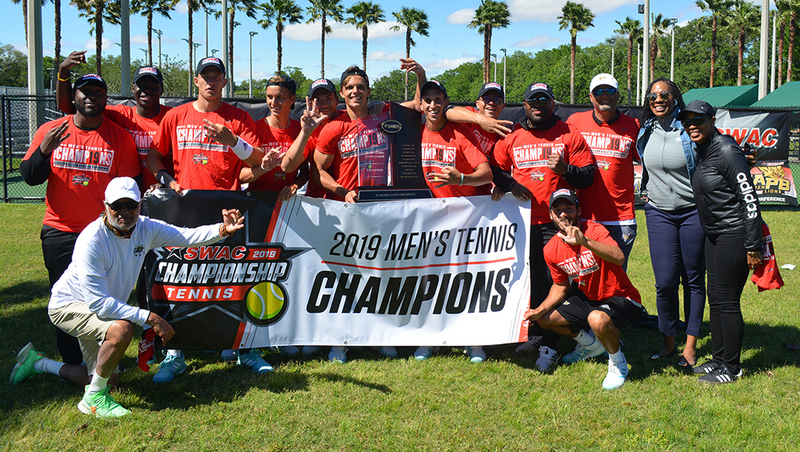 | Alabama State fell behind following doubles action, only to storm back and capture their third consecutive Southwestern Athletic Conference (SWAC) championship with a 4-1 victory over Alabama A&M at the Pepsi Tennis Center Sunday afternoon. After Alabama A&M clinched the doubles point with a win at number one doubles, the Hornets seized control early in singles action and won all four matches in straight sets. Ion Efrim – the Tournament MVP – cruised to a 6-1, 6-0 victory at number; before Alexis Collard, Tomas Fernandez and Alejo Calvis each won in straight sets for the win. Anuk Christiansz was named the Coach of the Year, while Fernandez, Calvis and Juan Rodriguez all joined Efrim on the All-Tournament team.